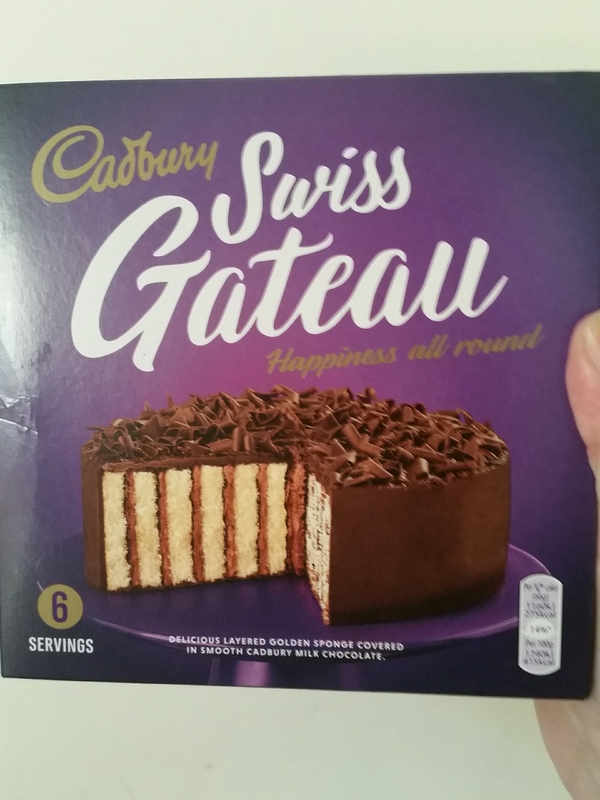 When the dark has set in on a Friday night and you have no plans to go anywhere or do anything there is nothing better than tucking into a slice of Cadbury Swiss Gateau (chocolate cake). We wouldn’t even have the chocolate cake if it wasn’t down to my partners Nan popping by with a few bits and the cake. We are so lucky to have people in his family that go all out to look after us and see us smile. The slogan on the box “Happiness will reward” is certainly an interesting one. Once upon a time that would have related to a full and happy tummy producing happy people and homes but now I can just imagine it being about the company making profits and paying the big guys big bucks. This cake really interested me though because I’m used to gateau meaning cream and normally needing to be defrosted before eating. This though was a divine chocolate covered cake which packed a delightful balance of chocolate against the layers of vanilla sponge. Cutting into it was joyful. 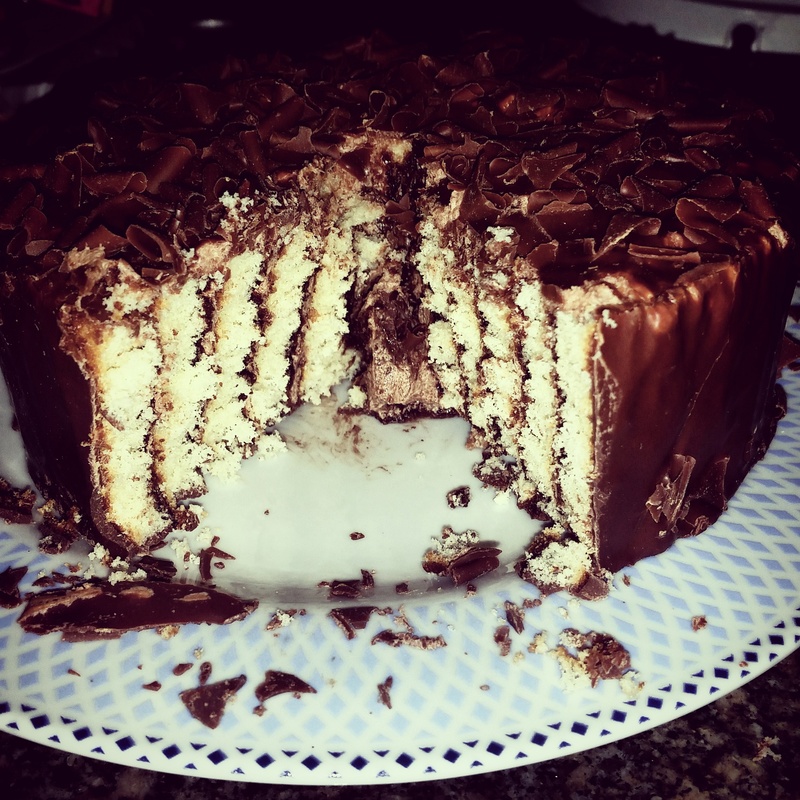 I feared the chocolate layers on all directions would send it flying around when I put the cake slice into it but that was not the case. 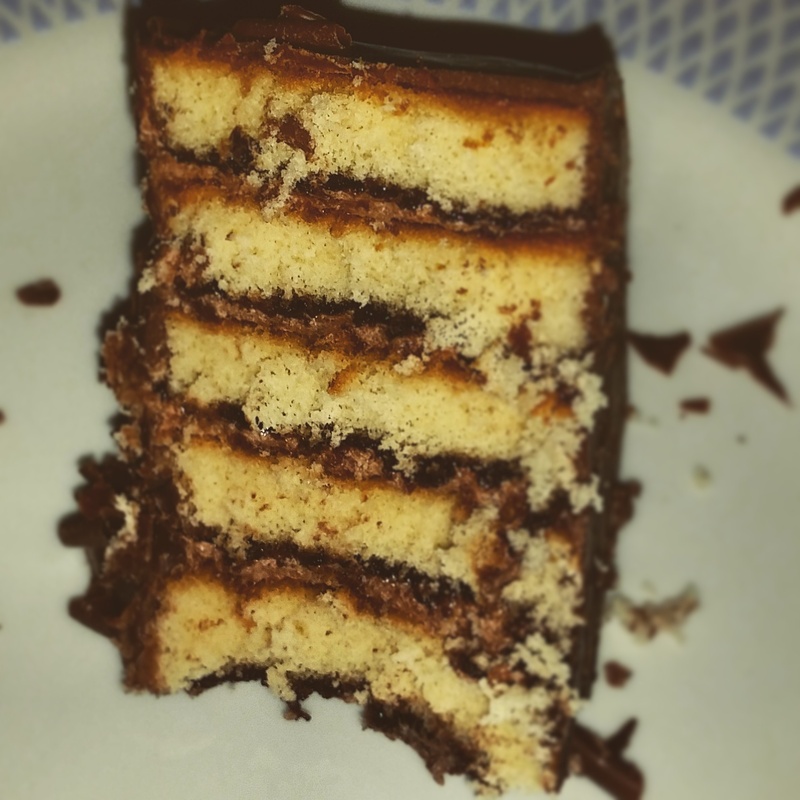 The layers inside were well defined and it was moist enough to not need cream or ice cream alongside it. Of course it doesn’t compare to a fresh cake but it is one of the best off the shelf/keep in the cupboard cakes I have tasted in a while. 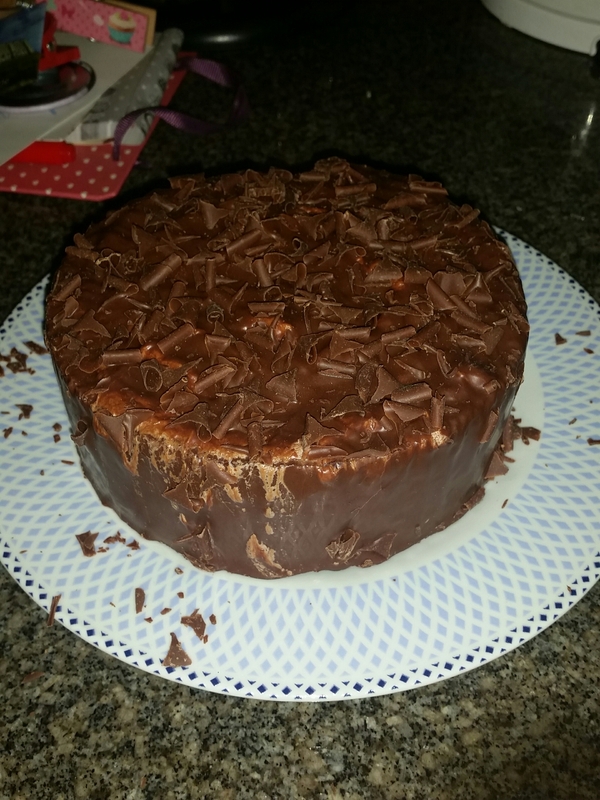 My partner was hoping the inside would be a little more chocolately (it being by Cadbury convinced him of that). Because of mixed views I’ll have to give it a 3.75 out of five as I’d give it a four but my partner would edge a little lower. This entry was posted in Food and Drink, Product Reviews and tagged autumn, baking, box, cadbury, cadbury gateau, cadburys, cake, chocolate, chocolate cake, croydon, cute, dessert, eating, family, food, Food and Drink, food blogger, food bloggers, gateau, layers, lblogger, lbloggers, life, Lifestyle, lifestyle blog, lifestyle blogger, lifestyle bloggers, London, packaging, product, product review, purple, review, stripes, treats. Bookmark the permalink.